A beautiful specimen feature in any garden or container. 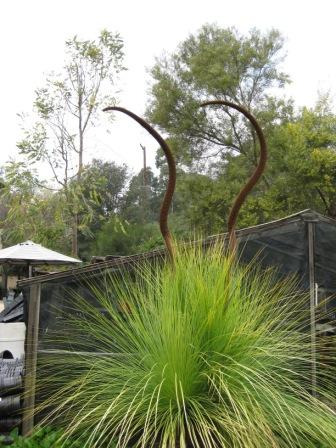 Beautiful specimen can be seen at the Taft Garden in Ojai or the LA Arboretum and Botanic Garden where they are about 15' tall. 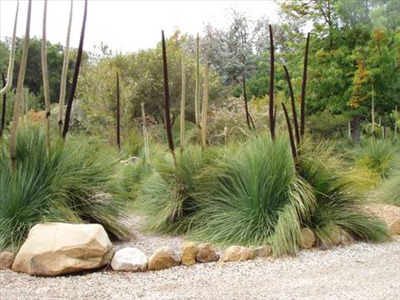 Their long grass-like leaves grow approximately 3-4' long and large spear-like creamy flower spike, is magnificent. They attracts birds and bees. They are slow growing initially but tolerant of most situations once established. Take care NOT to over water and rot the crown of the plant. Flower Time: When it is ready! Propagation Information: Seed may take 4-52 weeks to germinate. Best if sown fresh. Plant usually take approx. 3 years before they are ready to plant.